Cross feed order routing is based on the premise that APIs typically have a comparative advantage either for the data retrieval or for order management. 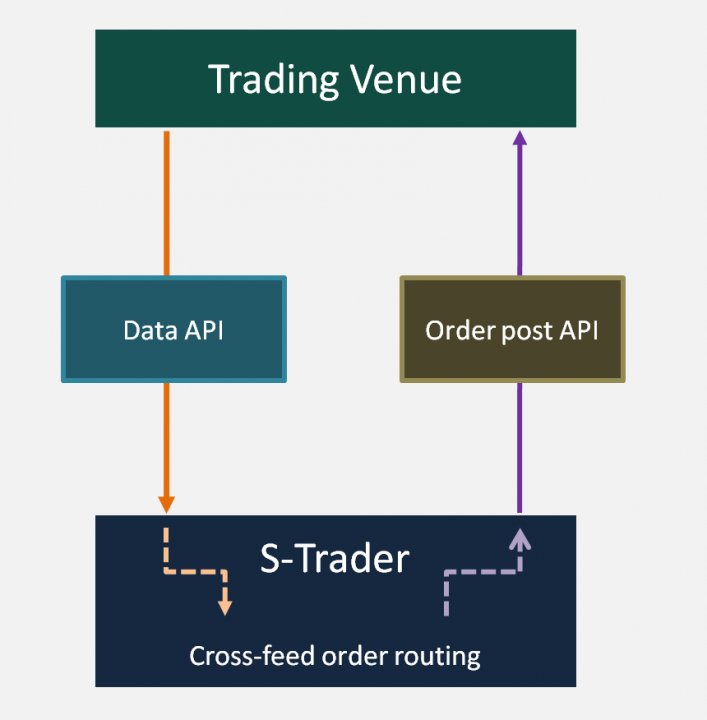 Running algos on quicker data feeds and passing the results via quicker order routing systems should thus presents certain advantages: the round trip time for the trading venue data to reach you and for your orders to reach the trading venue can be considerably reduced. It can also help you optimize data and execution costs.